Facebook stock prices have fallen steadily since the company’s much anticipated public debut three months ago. Now some are asking whether Mark Zuckerberg is the best person to lead the company. Last week, Facebook hit a new trading low, and now some are wondering if founder Mr. Zuckerberg is in over his hoodie and if it’s time for him to step aside as CEO. Facebook made few friends on Wall Street last week, Friday, when its stock price fell below twenty dollars for the second day in a row. This was the latest blow in what some are calling one of the most disastrous initial public offerings in a decade, “Just ninety days since the IPO in May, the stock has fallen by half its value. So the drop has not just been dramatic in terms of size it’s been so rapid”, said Sam Hamadeh, CEO of Privco. Facebook, the social media giant boasts approximately nine hundred million users worldwide, when news broke of the impending IPO, there was much anticipation globally. 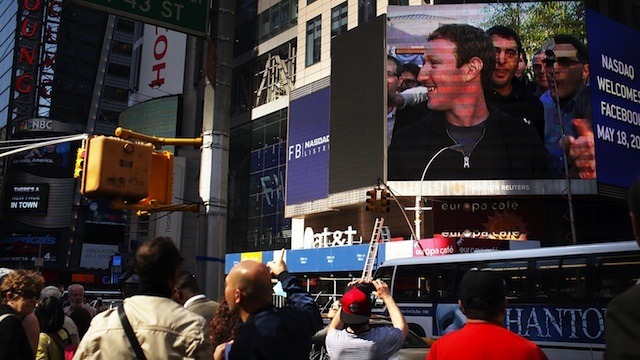 “So let’s do this” said Mark Zuckerberg, when the company went public on Friday May 18th. Many investors have clamored for Facebook shares, including many private investors like San Diego sandwich shop owner, Herman Hitachi, “I got two hundred and fifty shares at forty dollars” he said. Now Hitachi patiently waits for better days, “We will go through up’s and downs, no question about it” he added. Brent Wilsey of Wilsey Asset Management stated, “His company; he’s not doing the right things to have this company make money. What I would tell Mark Zuckerberg is: ‘You’re a smart guy, you’ve created this great product called Facebook, but now the game has changed.” The other significant development at Facebook recently is that a group of Facebook investors has filed a class action suit against the company and the investors that underwrote the initial public offering.